The source of almost each legend hides some kind of secret, and the place in which these legends originate are usually difficult to access, slightly mysterious, characterised by a peculiar aura of mysticism around them as well as by the smell of nature and the past. 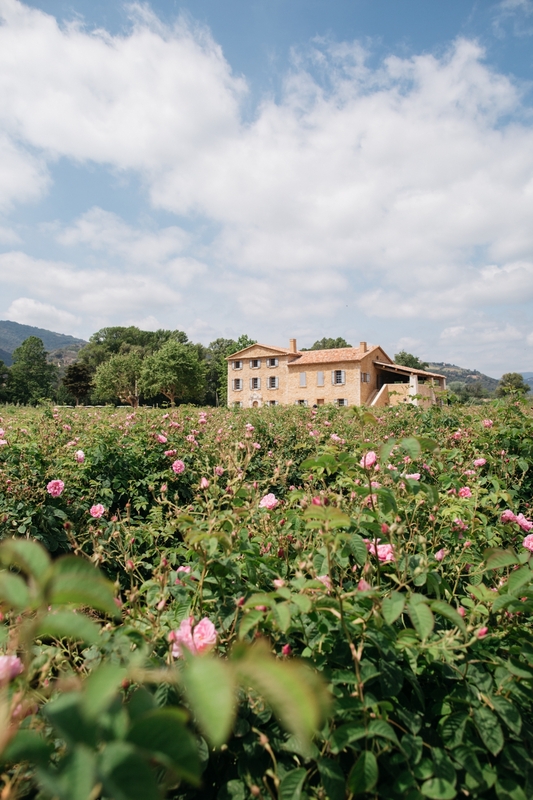 You can find many of such places in the southern part of France, for example in the near vicinity of the 18th-century Grasse, to be more precise, in a house made of light stone surrounded by fields of cabbage roses – especially adored by prominent perfumers, the real masters of scents. This is where the story of Chanel Nᵒ5, a universal synonym for luxury, begun in 1921. It was then that Ernest Beaux, a Frenchman born in Moscow, created ten different scent compositions in his laboratory from which Coco Chanel chose the fifth sample. Since that moment, and already almost one hundred years have passed, Chanel Nᵒ5 has remained an unsurpassed symbol of a better and fairy-tale world, whereas the story of the creation of the fragrance has given rise to numerous versions and suppositions, which are either more or less true. Thus, when Chanel offered me to prepare an article on the most famous perfume in the world and invited me to the place of its origin, I instantly knew that something incredible and unavailable to a mere mortal awaits me. Actually, I had the impression as though everything was a great secret from the very beginning of my trip – apart from an incident at the airport in Nice where I fatally came across a group of paparazzi from Poland waiting for Blake Lively, who had been already on her way to the festival in Cannes. I don't know who was more surprised – them or me. I was stunned for a moment. Then, I took a desperate attempt to flee, which was, of course, a failure, and finally, I was able to reach my car and breathe a sigh of relief. 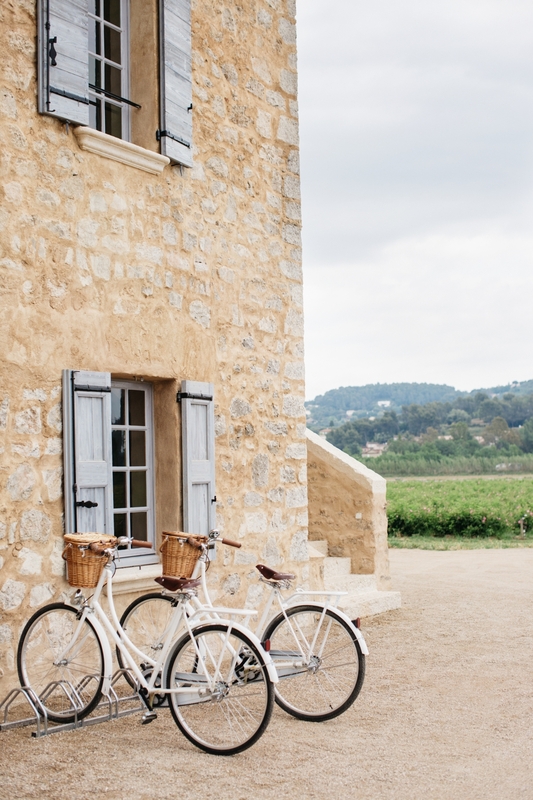 I thought that it could only get better and focused on admiring Provençal landscape. When I arrived at my hotel room (Le Mas De Pierre), I found the main reason for the whole commotion on my bedside table – a bottle of Chanel Nᵒ5. For the last couple of years, the perfume – namely the Premiere edition – has accompanied me almost every day. Thus, I had a premonition that the new formula will suit my taste as well. A second after, there was an incredible soapy floral scent wafting in the whole room. It was slightly fresher than the one I had known thus far. I was about to discover all of the mysteries of its origin on the following day. I woke up right before my alarm clock, which is quite untypical of me; I usually need two snoozes on my mobile phone to open one eye and then three more to open my other eye. I slid apart the mosquito nets around the bed (when I saw them the previous day, they immediately reminded me of the scorpions entering through the window of a room belonging to the protagonist of "A Good Year" – due to the fact that these are the same regions, I decided to use the nets and refrain from opening the window for the night just in case – you can never be too careful). It was supposed to rain that day. I ran to the window, and I saw with relief that the rising sun is breaking through the clouds so the light for taking photos would be pretty good. After a quick shower, without even thinking, I took the clothes that I prepared for that day out of my suitcase. As you probably remember, I try to respect many of Coco Chanel's rules concerning style. The famous fashion designer used to say that "fashion essentially starts with overly beautiful things only to attain and appreciate simplicity over time." Keeping that it mind, I packed clothes which are mostly classic and appropriate for the situation. Due to the fact that the trip plan involved mostly the sightseeing of rose fields, I put on a blue shirt dress (pieces borrowed from a man's wardrobe are a symbol of Coco's style), a pair of rain boots (even when it comes to a trip to "Chanel's fields" no other type of shoes would be suitable here and, as it later turned out, I wasn't the only person with such an opinion), and a trench coat which I always take with me everywhere. On my neck, I had the most important thing of all – my camera. After a 30-minute car ride, I arrived at a place where I was supposed to learn the secrets of manufacturing process of Chanel Nᵒ5. Among the rose fields stood the already mentioned house made of light stone, and there was a tall, slim black-haired man standing in front of it. It was Olivier Polge called, as it later turned out, Chanel’s "nose." 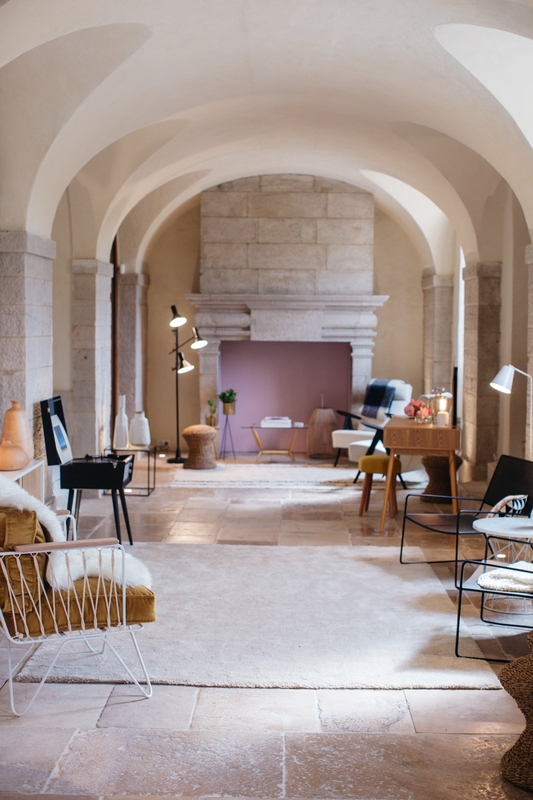 It was unnecessary to search for long to appreciate our hosts' concern for each minute detail at their home as well as the space around it. 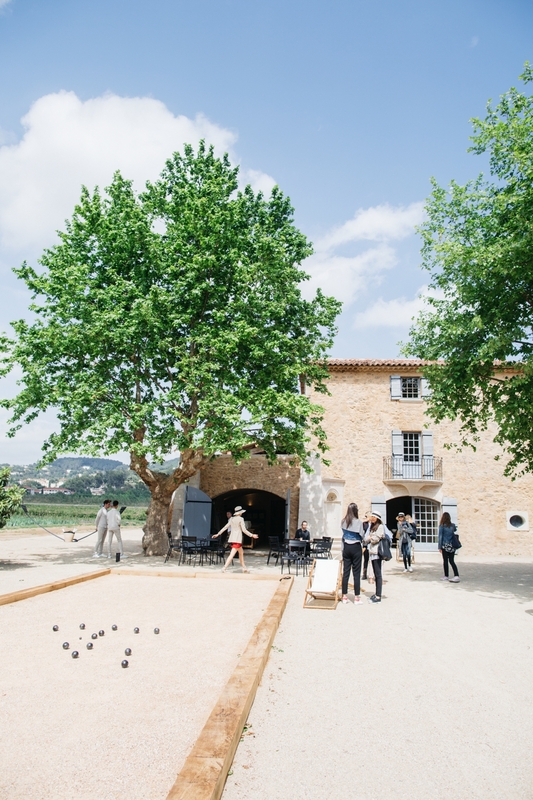 Everything around – from the white bicycles in front of the entrance, to a small square used for playing boules, to a table and deckchairs – looked as if it came from a film whose plot was taking place in the times of the Belle Époque. However, our hosts didn't let me enjoy the view for too long. 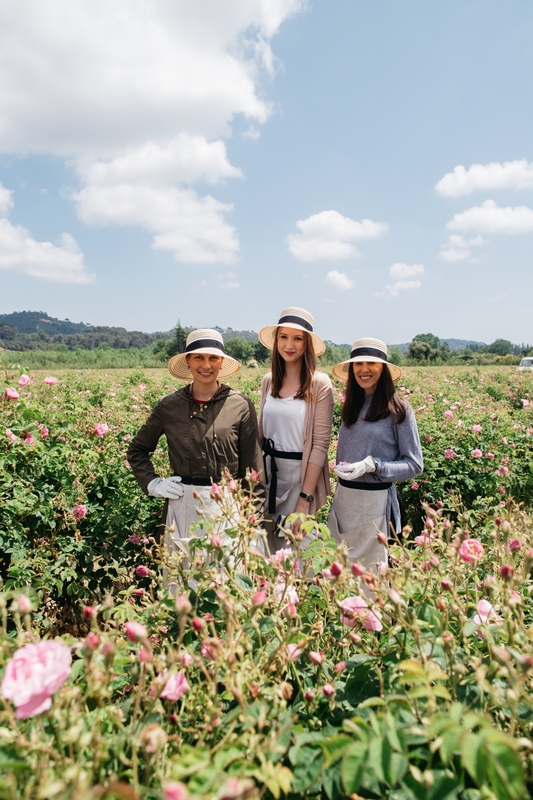 The roses used in the perfume manufacturing process can be only gathered early in the morning; thus, there was not much time left. 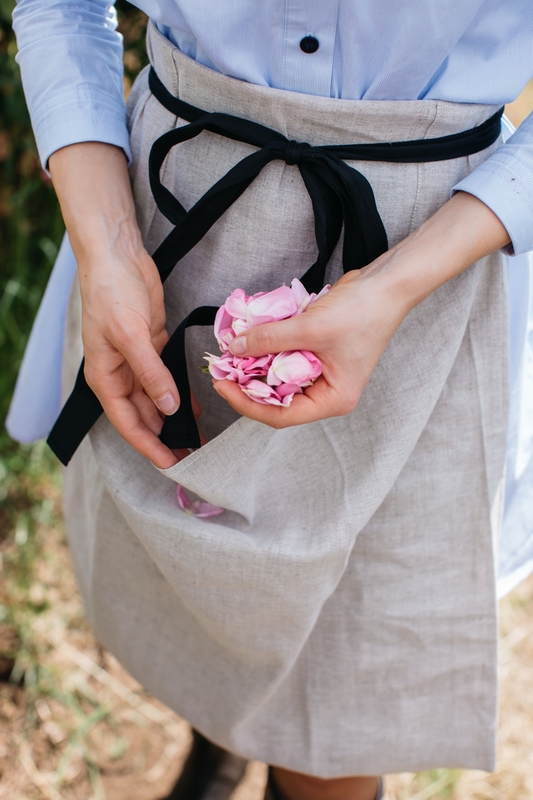 I received an apron with a special pocket and an instruction to gather the largest possible number of flowers. The ones growing in the near vicinity of Grasse are commonly considered to be exceptional. 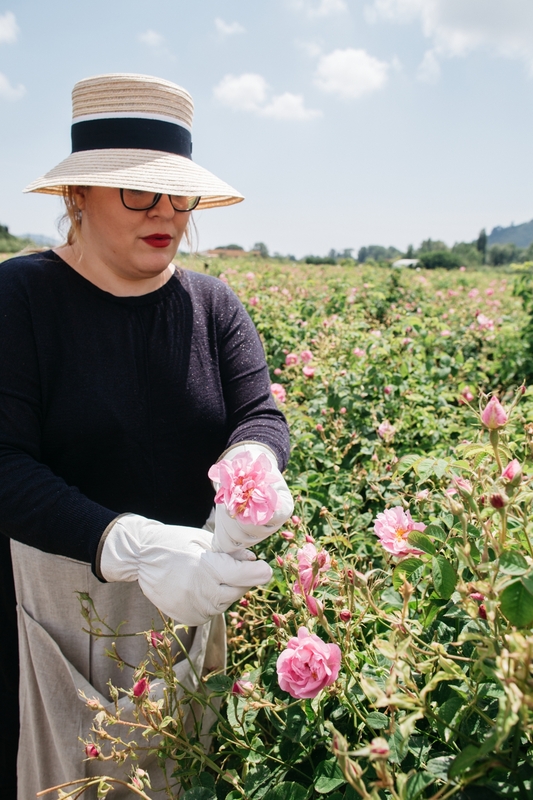 An exclusive product starts with good-quality materials; therefore, the roses used in the manufacturing process of the famous fragrance cannot be just of any kind. 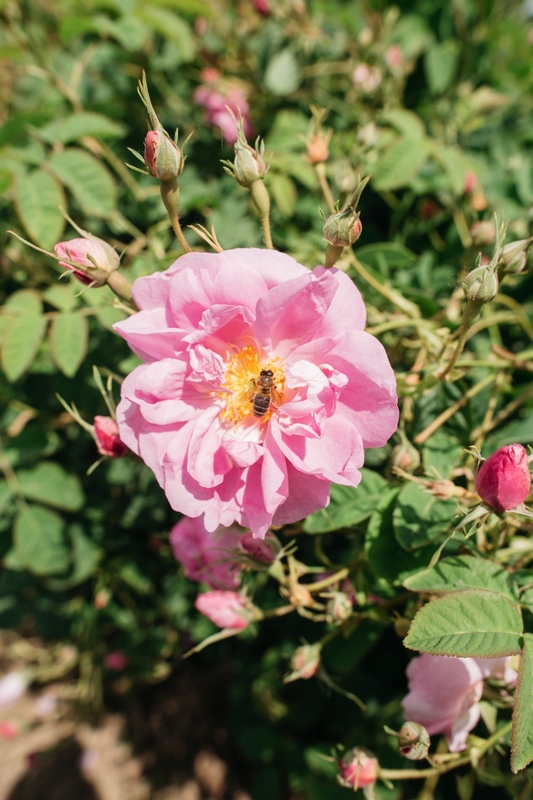 The production of Chanel Nᵒ5 requires the use of Rosa centifolia (the cabbage rose). These bloom only for three weeks in a year. The flowers are picked extremely carefully to avoid crushing the petals. Even such minute details have an impact on the quality of the future perfume. Therefore, the use of any machines during the gathering is out of the question. Afterwards, small sacks made of fabric are used to transport the flowers to the place where the extract is obtained. The manufacturing plant where it is produced can be found in the near vicinity of the place. 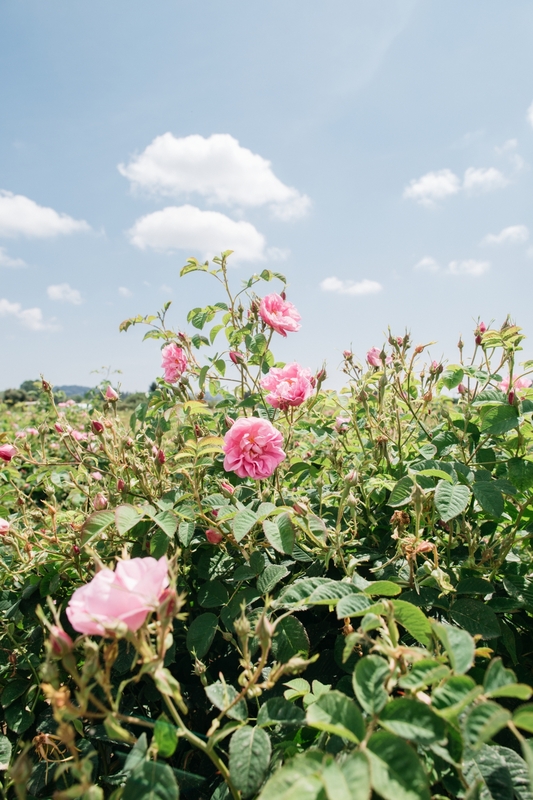 The production of the extract is a real race against time, as the fragrances occurring in nature, especially floral ones, are extremely volatile. The distillation process is essential to capture them and elongate their durability. Fresh flowers are placed in a special distilling tank. After a couple of hours, pure rose essence with a very intense scent is obtained. The proportions in which all the ingredients are later combined (among other things – jasmine extract) are one of the brand's best-kept secrets – the exact formula is said to be known only by three people in the world. One of them is Olivier Polge, whom I had the pleasure to meet (the author of, among other fragrances, Chance Chanel Eau Vive as well as Chanel Boy). 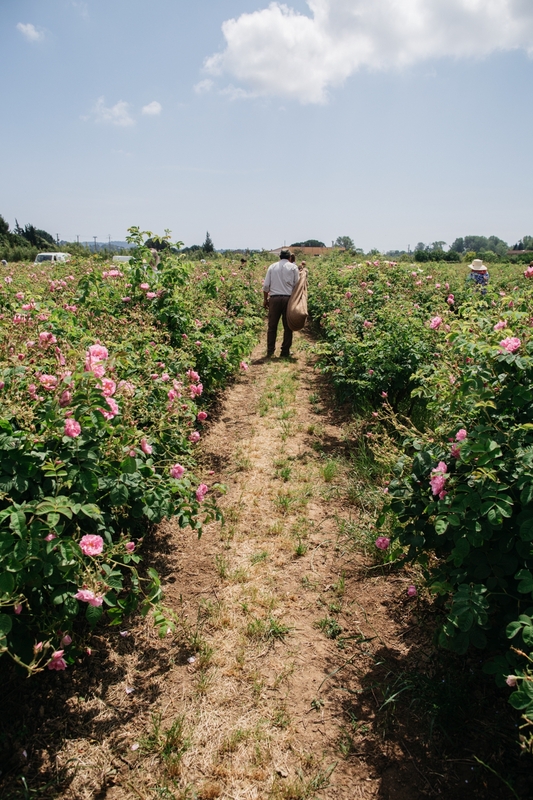 It was his father, Jacques Polge, who deemed the roses grown on the fields in the near vicinity of Grasse perfect. He established a co-operation with the Mul family, who has been involved in flower cultivation in this region for five generations. 1. We need as many as three hundred and fifty roses to gather one kilogram of these flowers. 2. 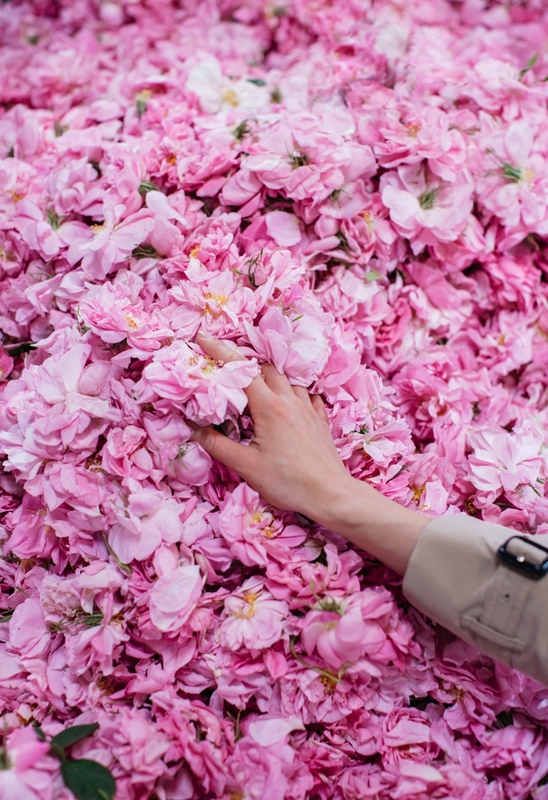 We need as many as four hundred and fifty kilograms of flowers to prepare one kilogram of perfume essence. 3. 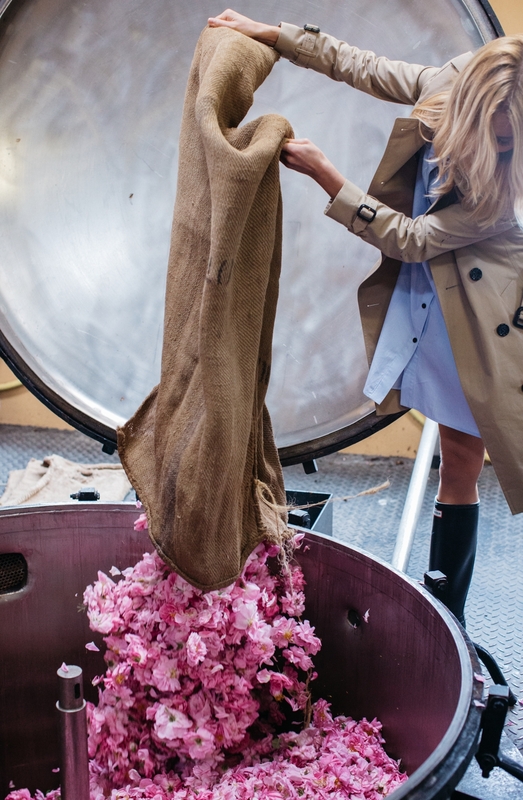 A 30-millilitre bottle of Chanel Nᵒ5 contains extract from twelve cabbage roses gathered in Grasse. A couple of hours later, when it was time to go home, I cast a last glance in the direction of the fields. I saw how my humble crop of roses was placed in a sack containing all of the flowers that had been gathered throughout the day. Thus, if you happen to buy Chanel Nᵒ5 next year, the likelihood exists that the perfume bottle will contain the extract from the roses that I gathered myself. Źródła każdej niemal legendy skrywają jakąś tajemnicę, a miejsca ich narodzin są zazwyczaj trudno dostępne, trochę zagadkowe, owiane swoistą aurą mistycyzmu i zapachem natury i przeszłości. Takich miejsc znajdziecie sporo na południu Francji, na przykład nieopodal XVIII-wiecznego miasteczka Grasse, a ściślej mówiąc, w domu z jasnego kamienia, otoczonym przez pola róż stulistnych – szczególnie ulubionych przez wybitnych perfumiarzy, prawdziwych mistrzów zapachu. To tu, w 1921 roku, rozpoczęła się historia Chanel Nᵒ5 – uniwersalnego synonimu luksusu. Właśnie wtedy Ernest Beaux, urodzony w Moskwie Francuz, stworzył w swoim laboratorium dziesięć różnych zapachów, spośród których Coco Chanel wybrała ten z numerem pięć. Od tej chwili, a minęło już prawie sto lat, Chanel Nᵒ5 pozostaje niedoścignionym symbolem, lepszego, bajkowego świata, a historia stworzenia tego zapachu doczekała się niezliczonych wersji i domysłów, mniej lub bardziej prawdziwych. Kiedy więc Chanel zaproponowało mi napisanie artykułu o najsłynniejszych perfumach świata i zaprosiło do miejsca ich narodzin, wiedziałam od razu, że czeka mnie coś niezwykłego i niedostępnego dla zwykłego śmiertelnika. I faktycznie, już od początku wyjazdu miałam wrażenie, jakby wszystko odbywało się w wielkim sekrecie. Pomijając incydent na lotnisku w Nicei, gdzie pechowo trafiłam na grupkę paparazzi z Polski, czekających na Blake Lively, która jechała właśnie na festiwal w Cannes. Nie wiem kto był bardziej zdziwiony – oni, czy ja. Osłupiałam na chwilę, później podjęłam rozpaczliwą i oczywiście nieskuteczną próbę ucieczki, aż wreszcie trafiłam do mojego samochodu i odetchnęłam z ulgą. Teraz może być już tylko lepiej, pomyślałam, i skupiłam się na podziwianiu krajobrazów Prowansji. Gdy znalazłam się w moim pokoju hotelowym (Le Mas De Pierre) na nocnym stoliku czekał już bohater całego zamieszania: flakon nowego zapachu Chanel Nᵒ5 l'Eau. Przez ostatnich kilka sezonów perfumy te (również w wersji Premiere) towarzyszyły mi prawie codziennie, więc miałam przeczucie, że nowa formuła przypadnie mi do gustu. Sekundę później w całym pokoju unosił się już niepowtarzalny, mydlano-kwiatowy zapach, nieco świeższy niż ten, który znałam do tej pory. Następnego dnia miałam odkryć wszystkie tajemnice jego powstawania. Obudziłam się tuż przed dzwonkiem budzika, co w moim przypadku jest dosyć nietypowe; zwykle potrzebuję jeszcze dwóch drzemek w telefonie, aby otworzyć jedno oko, a potem jeszcze trzech, aby otworzyć drugie. Rozsunęłam moskitierę wokół łóżka (gdy zobaczyłam ją poprzedniego dnia wieczorem, od razu przypomniały mi się skorpiony wchodzące przez okno do pokoju głównego bohatera filmu "Dobry rok", a że to te same rejony, to na wszelki wypadek postanowiłam jej użyć i nie otwierać okna na noc – ostrożności nigdy za wiele). Na ten dzień zapowiadano deszcz. Podbiegłam do okna i z ulgą stwierdziłam, że wschodzące słońce przedziera się przez chmury, więc światło do zdjęć zapowiadało się całkiem nieźle. Po szybkim prysznicu bez namysłu wyciągnęłam z walizki przygotowane na ten dzień rzeczy. Jak pewnie pamiętacie, wiele głoszonych przez Coco Chanel zasad dotyczących stylu, staram się respektować. Sławna projektantka zwykła mawiać, że "w modzie zasadniczo zaczyna się od rzeczy przesadnie pięknych, aby z czasem osiągnąć i docenić prostotę". Idąc tym tropem, do mojej walizki zapakowałam przede wszystkim rzeczy klasyczne i adekwatne do sytuacji. A ponieważ plan wyjazdu przewidywał głównie zwiedzanie pól różanych, to włożyłam niebieską sukienkę o koszulowym kroju (zapożyczenia z męskiej szafy to przecież symbol stylu Coco), kalosze (nawet „na pola Chanel” żadne inne buty by się nie nadawały, i jak się zresztą okazało, nie byłam odosobniona w swojej opinii) i trencz, który biorę ze sobą zawsze i wszędzie. Na szyję nałożyłam rzecz najważniejszą – mój aparat. Po półgodzinnej podróży samochodem dotarłam do miejsca, w którym miałam poznać tajemnice produkcji Chanel Nᵒ5. Wśród pól różanych wznosił się wspomniany już dom z jasnego kamienia, a przed jego wejściem stał wysoki, szczupły brunet. Był to Olivier Polge, zwany, jak się potem okazało, „nosem” Chanel. Nie trzeba było się specjalnie rozglądać, aby docenić dbałość gospodarzy o każdy szczegół domu i tego, co go otaczało. Wszystko wokół, od białych rowerów ustawionych przed wejściem, przez placyk do gry w bule, aż po stoliki i leżaki, wyglądało jak z filmu, którego akcja rozgrywała się w czasach belle époque. Nie pozwolono mi jednak zbyt długo napawać się tym widokiem. Róże do produkcji perfum można zbierać jedynie wczesnym rankiem, czasu zostało więc niewiele. Otrzymałam fartuch ze specjalną kieszenią i polecenie, aby zerwać jak największą liczbę kwiatów. Te rosnące w okolicach Grasse powszechnie uważa się za wyjątkowe. Ekskluzywny produkt zaczyna się od dobrej jakości materiałów, dlatego do stworzenia słynnego zapachu potrzebne są nie byle jakie róże. W produkcji Chanel Nᵒ5 wykorzystuje się te z gatunku stulistnych (centyfolia), które kwitną tylko przez trzy tygodnie w roku. Kwiaty zrywane są bardzo ostrożnie, aby płatki nie zostały zgniecione, bo nawet takie drobiazgi mają później wpływ na jakość perfum. Udział maszyn w zbiorach jest więc wykluczony. Następnie, w niedużych materiałowych workach kwiaty przewożone są do miejsca, w których powstaje ekstrakt zapachu. Fabryka, w której jest wytwarzany, znajduje się w pobliżu. Produkcja ekstraktu to prawdziwy wyścig z czasem, ponieważ zapachy występujące w naturze, zwłaszcza kwiatowe, są niezwykle ulotne. Aby je uchwycić i wydłużyć ich trwałość, niezbędny jest proces destylacji. Świeże kwiaty umieszczane są w specjalnym zbiorniku destylującym. Po kilku godzinach powstaje czysta esencja różana o bardzo intensywnej woni. Proporcje w jakich łączone są później wszystkie składniki (między innymi ekstrakt z kwiatów jaśminu) należą do najbardziej strzeżonych tajemnic marki – podobno dokładną recepturę zapachu znają jedynie trzy osoby na świecie. Jedną z nich jest Oliver Polge, którego miałam przyjemność poznać (autor między innymi Chance Chanel Eau Vive oraz Chanel Boy). To jego ojciec, Jacques Polge, uznał, że róże uprawiane na polach w okolicach Grasse, będą idealne i nawiązał współpracę z rodziną Mul, która od pięciu pokoleń zajmuje się uprawą kwiatów w tym rejonie. 1. Aby zebrać kilogram róż, potrzeba ich aż trzysta pięćdziesiąt sztuk. 2. Do przygotowania jednego kilograma esencji potrzebnych jest czterysta pięćdziesiąt kilogramów kwiatów. 3. W trzydziesto mililitrowej butelce Chanel Nᵒ5 zawarty jest ekstrakt z dwunastu róż stulistnych, zebranych w Grasse. Kilka godzin później, gdy trzeba już było wracać, rzuciłam ostatnie spojrzenie w stronę pól. Zobaczyłam, jak mój skromny zbiór trafia do worka z resztą zebranych w tym dniu kwiatów. Jeśli więc zdarzy Wam się kupić w przyszłym roku Chanel Nᵒ5 l'Eau, to istnieje prawdopodobieństwo, że we flakonie znajdzie się ekstrakt z róż zerwanych przeze mnie. Only the fully opened flowers are gathered. The buds have to wait for their turn for a couple more days. Zrywane są jedynie rozwinięte kwiaty, pąki muszą poczekać na swoją kolej jeszcze kilka dni. 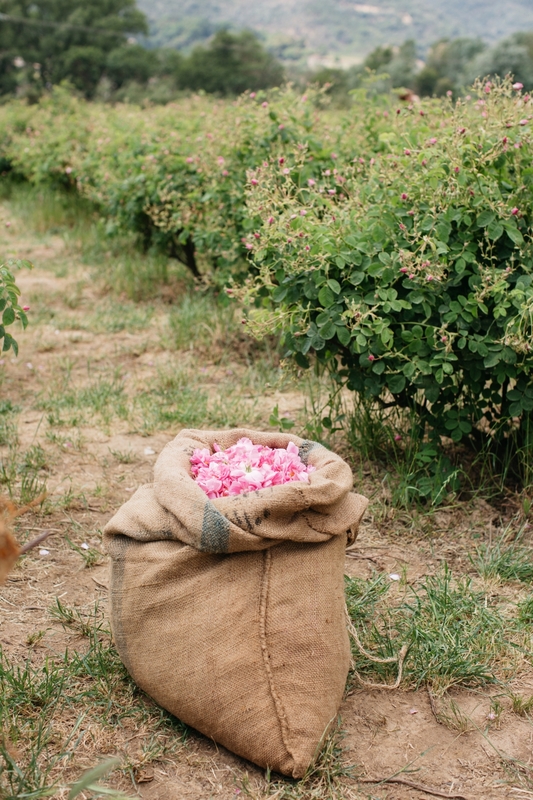 The flowers are transported in linen sacks to a manufacturing plant where the extract is produced. W płóciennych workach kwiaty są przewożone do fabryki, w której jest wytwarzany ekstrakt. The square for playing boules. You need to admit that it looks really atmospheric. Placyk do gry w bule. Musicie przyznać, że wygląda bardzo klimatycznie. 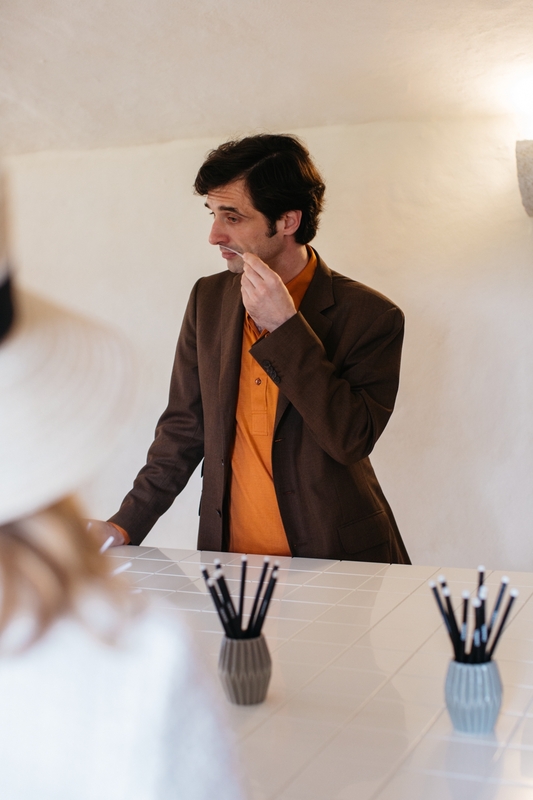 Olivier Polge himself – Chanel’s "nose" responsible for the most famous fragrances released by the brand. Olivier Polge we własnej osobie, czyli "nos" Chanel odpowiedzialny za najsłynniejsze zapachy marki. The lunch that was prepared for us had disappeared before I was able to shout "let's take a photo." 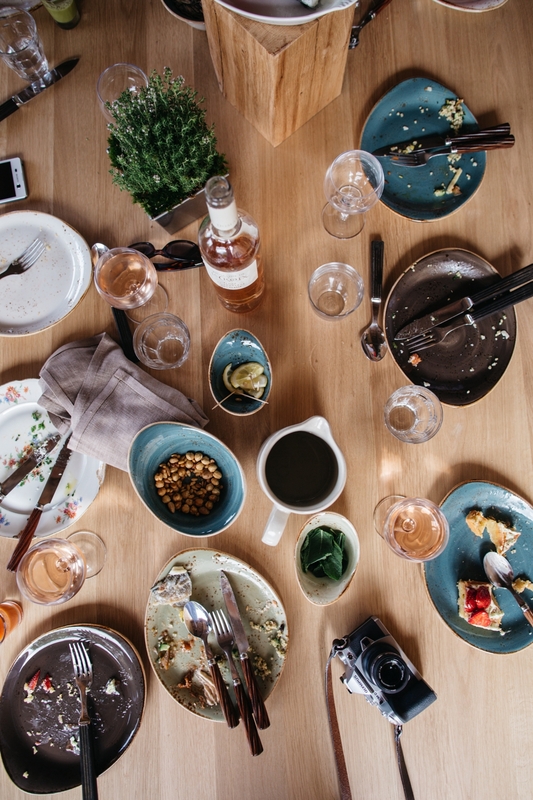 The menu included, among other options, tart with strawberries and pistachio cream, spicy pasta with eggplant, or anglerfish with a mix of salads. Lunch, który dla nas przygotowano, zniknął szybciej niż zdążyłam powiedzieć "zdjęcie". W menu można było znaleźć między innymi tartę z truskawkami i kremem pistacjowym, makaron z bakłażanem na ostro, czy żabnicę z miksem sałat. With some of my companions: Ala, the deputy chief editor of Glamour Magazine, as well as Sebastian, the publisher of Monitor Magazine. Z częścią moich towarzyszy: Alą, wicenaczelną magazynu Glamour, oraz Sebastianem, wydawcą Monitor Magazine. 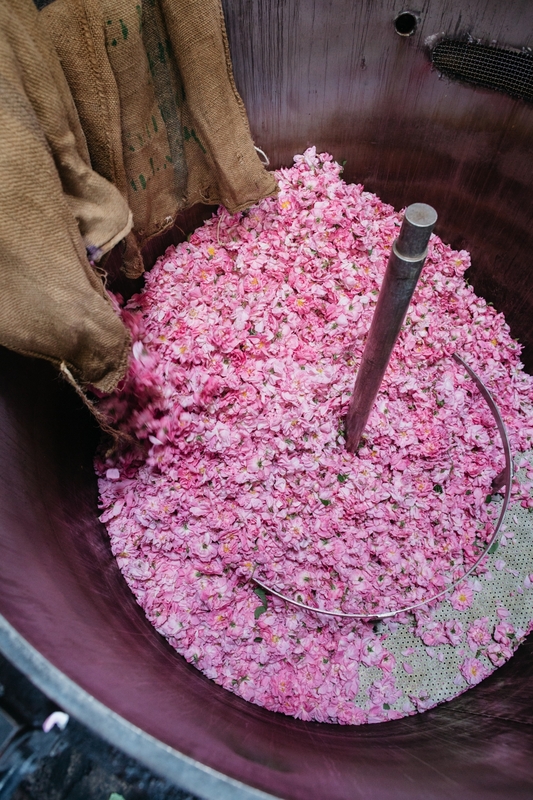 In order to obtain the extract, the roses have to undergo the distillation process. The fragrance is preserved in a dense liquid – the process takes place in this tank resembling a silo. Aby powstał ekstrakt, róże muszą przejść przez proces destylacji. To w tym pojemniku, przypominającym silos, zapach zostaje utrwalony w gęstym płynie. I'm already in possession of the new Chanel Nᵒ5 (as a matter of fact, I had to leave this bottle behind, but I took a smaller version with me). It will be put out on sale in September this year. Nowe Perfumy Chanel Nᵒ5 l'Eau są już w moich rękach (co prawda tę butelkę musiałam akurat zostawić, ale mniejszą wersję zabrałam ze sobą). Do sprzedaży trafią we wrześniu tego roku. Ilu kosmetyków do twarzy naprawdę potrzebuję – czyli 4 marki, których nie znacie, a powinnyście. Kurde, przepraszam, ale śmieszy mnie już to “przeżywanie” Chanel, Audrey, Paryża, torebek i szminek. Tyle ciekawego, świeżego, awangardowego się dzieje, nawet w modzie! Jak dla mnie wpis jest rewelacyjny a historia opowiedziana przez kasie jest super interesujaca. To wielki talent napisac cos nowego o czyms, co tak jak napisalas, jest juz troche przemielone. Wiesz, to chyba kwestia osobowości. Ja sama niezbyt interesuję się modą, ale jeżeli już to zdecydowanie ciągnie mnie awangarda. Tak jak i Ciebie, nudzą mnie szpileczki, perfumy Chanel, Audrey i Paryż w takim wydaniu. Ale Kasi to pasuje i do Kasi taki styl pasuje. Niech więc pisze o tym, w czym ona się dobrze czuje. Uwielbiam zaglądać na tego bloga i wpadam tu regularnie. Co do Komentarzy na temat po co po angielsku? To mam 29 lat i od 12 lat mieszkam w Anglii gdzie mam znajomych którzy również zaglądają na bloga Kasi nie mogliby tego robić gdyby Kasia pisała tylko po polsku. Na tym blogu znajduje wiele wskazówek jak sobie radzić i jak czuć się dobrze w tym co nosze oraz jak wyglądać elegancko. Ja też! Wpis jest genialny – masz wielki talent Kasiu! Kasiu jak oceniasz ten nowy zapach? Bo ta ”legenda” mi tak jak pewnie niektórym kobietom się nie podoba. Myślę, że wielu ludzi aldehydy odbiera jako ciężkie, męczące. Ja też nie opisałabym Chanel No. 5 jako zapachu ciężkiego (bez porównania np. z Opium YSL, szczególnie tym sprzed reformulacji), ale rozumiem, dlaczego słowo “ciężkie” ciśnie się na klawiaturę. jejku, jak ja lubię takie klimaty! Przeżyłaś wspaniałe kilka dni. Tyle płatków na raz – to musiało pięknie pachnieć :) Zdjęcia piękne! Zazdroszczę Ci takich przeżyć, oczywiście w pozytywnym tego słowa znaczeniu…. Zdjęcia urzekają i są szalenie klimatyczne. Oglądałam relację z wyprawy na Snapie u Jess i byłam pod ogromnym wrażeniem organizacji. Miałam wrażenie, wnętrze domu było przygotowane tak, aby w absolutnie każdym miejscu można było zrobić fantastyczne zdjęcie (tu łóżko, tam sofa, stolik do układanek, miejsce do robienia pocztówek…). PR-owcy Chanel spisali się na medal! Nie ma w tym ani cienia ironii, poważnie byłam zachwycona. Cudowny wyjazd i Ci go po prostu zazdroszczę :D Zdjęcie w “butelce” jest zaś moim ulubionym. Kasiu, gratuluję wspanialej przygody i nosa do przeczuwania trendow. Piszesz, że od kilku lat towarzyszy Ci zapach Chanel 5 Eau Premiere, podczas gdy ten, gości na ogòlnodostępnym rynku zaledwie od roku. (premiera 2015)……. Rozumiem chęc współpracy z Chanel, ale kazdy kto śledzi ten blog zapewne zna prezentowany przez Ciebie gust i słabość do raczej słodkich i bardziej pasujących do Twojego wieku zapachow.Tak więc super, rozumiemy dążenie do nowych ścieżek rozwoju zawodowego, ale proszę daruj ten niby wysublimowany gust, który trochę mało współgra np. z Twoim wiekiem.Brakuje w tym, co prezentujesz naturalności i wiarygodności, które wcześniej były atutem makelifeeasier. Hmm… myślę, że nim zadamy sobie trud, aby być wobec kogoś złośliwym, warto wpierw sprawdzić, czy to co chcemy napisać ma związek z prawdą ;). Wystarczy przeszukać blog, aby sprawdzić, że na długo przed wyjazdem ceniłam sobie ten zapach. Poniżej link do wpisu z (uwaga! ;)) 2014 roku :). Życzę milego wieczoru! Konstancjo mysle ze Kasi naleza sie przeprosiny z teojej strony. Mi by bylo glupio. Konstancjo, dygnij przej jej ekscelencją! Komentarz nie był pisany w tonie złośliwym czy obraźliwym. Po prostu nie było spójności z tym co wcześniej czytałam :) Gratuluję wyjątkowej przygody i niepowtarzalnego wydarzenia w tak pieknym miesiącu i życzę, by maj kojarzył Ci się odtąd z zapachem róży z Grass. Eau Premiere zostal wypuszczony na rynek w 2007 roku. W 2015 zaprezentowano go w innym flakonie, czemu towarzyszyla nowa kampania reklamowa. Sam zapach niewiele sie zmienil. Ale się zbłaźniłaś dziewczyno. Zrobiłaś z siebie totalną kretynkę, a teraz próbujesz odwrócić kota ogonem i wmówić wszystkim, że nie pisałaś tego złośliwie. Każdy widzi jak jest. Zbłaźniłaś to się chyba ty, wtykaniem “cennego” komentarza w to, co ciebie nie dotyczy. Kasiu jakie piękne zdjęcia ! Pewnie nie tylko ja zazdroszczę Ci tak wspaniałego przeżycia, towarzyszących zapachów oraz widoków. Z pewnością wiele Twoich czytelniczek zgodzi się ze mną, że Twoja eteryczna uroda idealnie wpisała się w okolice Grasse ! Czy Twoja sukienka to kolejny produkt MLE ? Mogłabyś zdradzić również jak uzyskujesz tak piękną fryzurę ? Kasiu pokaż zdjęcie tych perfum bo chce sobie je sprawić ? Kasiu możesz napisać skąd koszulowa sukienka? Dokładnie tak samo uważam ;) Wpis bardzo na plus, dobrze się czytało, bardzo ładne zdjęcia, natomiast zapach… dla mnie zdecydowanie nie. Na przyklad ktore zapachy Chanel sa dla Ciebie nie do zniesienia? Sporo ich jest. Wszystkich. Ale kazdemu podoba sie cos innego I na tym polega urok swiata. Nie no, oczywiście. Mimo że nie każdy z tych zapachów ma tego samego twórcę, na pewno wiele z nich ma wspólny mianownik. Wiele, acz nie wszystkie, moim zdaniem, bo ciężko porównać flankery Chance np. do propozycji z linii Les Exclusifs. Stąd moje pytanie. Testowałaś którekolwiek z nich czy komentujesz głównie zapachy ogólnodostępne? Nie jestem znawcą, ale chyba Les Exclusifs nie są dostępne w popularnych w Polsce drogeriach… Mylę się? Bardzo ciekawy artykuł :) i oczywiście piękne zdjęcia. Kasiu zdradzisz kto robi Ci zdjęcia podczas wyjazdów kiedy nie ma Gosi? A ja myślałam naiwnie, że dali Ci Kasiu taką dużą butelkę. Trochę jak z filmu Pachnidło. Dobre z tymi paparazzi. Fajnie piszesz. Miła Kasiu, Twój wpis wywołał uśmiech na mojej twarzy! Jestem bezgranicznie wierna zapachom Chanel: numer 19 w ciepłych porach roku i numer 5 gdy jest chłodno. Urodziłam się 19 sierpnia, tego samego dnia co Mademoiselle Chanel i być może dlatego jestem wierna tym zapachom od wielu lat? Wręcz podświadomie czuję, że te zapachy “zlewają” się z zapachem mojej skóry. Mniej więcej co dwa lata kupuję nowy flakonik Eau de Parfum o pojemności 50 ml. Pamiętam, gdy jako studentka, jeszcze pod koniec lat 90., próbowałam zapoznać się z Chanel nr 5 w pierwszych perfumeriach EMPiK’u. Czytałam, pewnie w “Twoim Stylu”, że to zapach – legenda, bestseller, a mnie wówczas zapach ten kojarzył się z zapachem… dla dam w wieku balzakowskim. Dawno przebrzmiałym, nieprzystającym do współczesnego życia. Gdy kilka lat później wręczono mi próbkę tego zapachu w berlińskim KaDeWe, jako zamiennik próbki Allure, o którą poprosiłam, byłam wręcz oburzona! Chyba tylko fakt bycia biedną studentką powstrzymał mnie przed wyrzuceniem tej próbki. Dopiero po kilku miesiącach zdecydowałam się wykorzystać tą próbkę – był listopadowy wieczór, założyłam czarną skórzaną kurtkę i wyszłam z domu. Z każdym krokiem byłam zdumiona działaniem tego zapachu – tak pięknie komponował się z moją skórą, tak pięknie współgrał z zapachem mojej skórzanej kurtki, tak pięknie rozwijał się podczas tego chłodnego wieczoru. Jestem wierna Chanel nr 5 od 2000 roku! Na początku kwietnia wykorzystałam kolejną buteleczkę i nową miałam zamiar kupić w okolicach 19 sierpnia, jako prezent urodzinowy. Od ponad 10 lat zaopatruję się w zapachy w perfumerii J.B. Filz’s Sohn w Wiedniu. Malutki sklepik w samym sercu miasta, z ponadstuletnim wyposażeniem i wyjatkowo miła właścicielka, pani Zmrzlik. Poczekam na wrzesień, być może tym razem zdecyduję się na nową wersję tego zapachu? Kasiu, dziękuję za piękny wpis! Serio? To sa tylko perfumy… Tak TYLKO. Osoba Coco Chanel zawsze wzbudzala we mnie ciekawosc i podziw. Co prawda Chanel 5 nie jest moim zapachem ale z przyjemnoscia zamienialabym sie z Toba aby uczestniczyc w tym wydarzeniu! Niesamowite! Wlasnie nalalam sobie szampana bo jak mawiala Chanel: szampana pije tylko z dwoch okazji: kiedy jestem zakochana albo kiedy nie jestem zakochana (moje tlumaczenie). Proszę napisz, czy zamawiałaś sukienkę przez internet czy kupiłaś gdzieś w stacjonarnym sklepie? Ja zapytam o kapelusz poniewaz jest boski ? To jeszcze raz ja: zdjecia w pelni oddaja atmosfere Fracji. W ubieglym roku po raz pierwszy wynajelismy z mezem kamper i pojechalismy z okolic Amsterdamu przez Francje do Hiszpanii, do Kraju Baskow. Uwielbiam kraje, gdzie jest zwyczaj rozkoszowania sie posilami i picia wina! Poza tym to okazja aby poznac ludzi i kulture. Mozna nocowac w gospodarstwach gdzie jest np rodukowane np wino. Co za wspomnienia! Tak sobie mysle, ze w tym roku wybierzemy sie na poludnie Francji! No wlasnie: do Francji! Najpiękniejszy wpis jaki dotąd czytałam… wspaniałe zdjęcia!!!!! Biorac pod uwage dorobek Jacque’a z Chanel, moim zdaniem Oliver Polge jeszcze musi udowodnic, ze jest rownie dobry, jak jego ojciec. Czas pokaze. Zgadzam się z Tobą. Podpis pod zdjęciem jest też nieścisły, bo Olivier P nie jest wcale odpowiedzialny za najsłynniejsze zapachy Chanel (chyba, że za takie uznać Boy czy Chance Eau Vive – ale raczej nie ;P). Mnie osobiście jego formuły nie zachwycają, ojcu (na razie) nie dorasta do pięt. Kasiu podaj proszę link do sklepu z sukienka. Na zalano jej nie ma. Nie mogę jej znaleźć . Piękne zdjęcia i piękne memories dla Ciebie for ever. ? Zatęskniłam za Francją po tym wpisie. Dziękuję za te zapachy i ciepełko uwięzione między zdaniami. Pozdrawiam! Kasiu wyglądasz przepięknie! Uwielbiam Twój styl,codziennie zerkam na makelifeeasier czy czasem nie ma czegoś nowego:) W tym stroju i jak zwykle nienagannej fryzurze wyglądałaś przepięknie. Może pomyślisz nad postem o stylizacji Twojej fryzury ? Zerknęłam na strone Topshopu w poszukiwaniach tej sukienki i niestety nic nie znalazłam.Kasiu czy ta sukienka jest jeszcze dostępna online? Pozdrawiam! Dziękuje Pani Kasiu, że Pani jest i dzielni się z czytelniczkami tymi wspaniałościami. Oj aż żal, że Internet nie przekazuje zapachów… Musiały być cudne! Przepiekne zdjecia! Swiatlo na poludniu Francji jest wyjatkowe, uwielbiam kolory tego regionu-jasne pastele, oraz piaskowiec, z ktoregozbudowane sa stare domy. Piękny wpis :-) i piękna sukienka, gdzie mogę taką dostać? Kasiu, dawno zamawialas ta sukienke? Przepiekna! Wpis urzekajaco czarujacy, zapach roz unosi sie w powietrzu …..
kto by pomyslał, że po tylu latach te perfumy wytwarzane są z takim namaszczeniem. Tylko pozazdrościć Ci Kasiu tej przygody! Kasiu, zdjęcie z tym wielkim flakonem N°5 jest niesamowite!!!! tak przyjemnie i z zaciekawieniem czytało się ten wpis! cudowny! Świetne zdjęcia i sporo ciekawego tekstu. Zazdroszczę przygody! Nie mogę się napatrzeć na te zdjęcia ! Byłam w Grasse 2 lata temu! wspaniałe miasto! spodnie o długości 7/8 i zastanawiam się czy do takich spodni pasują rajstopy…? czarne kryjące lub cieliste? Kasieńko wspaniały post. Pięknie opisane no i cudne zdjęcia. Wspaniałe. Niesamowite przeżycie! Chciałabym poczuć zapach tylu róż! Wspaniale, że miałaś taką okazję! “W trzydziesto mililitrowej butelce Chanel Nᵒ5 zawarty jest ekstrakt z dwunastu róż stulistnych, zebranych w Grasse.” – Dzięki tej informacji nie zawaham się wydając chciażby 400zł za zapach… Dziękuję!! Wspaniale chwile i niesamowita przygoda. Fajnie sie rozwijasz profesjonalnie. Tak trzymac, a ja ososbiscie zamarzylam o wakacjach w Prowansji. Uwielbiam takie wpisy, proszę o więcej, a z miłą chęcią kupię i przeczytam Twoją kolejną książkę! Pięknie opowiedziana historia :-) Czytałam z wielkim zaciekawieniem! Zdjęcia natomiast przypominają mi sceny z filmu “Francuski pocałunek” – podobny uroczy klimat pól, domostw skąpanych w słońcu południowej Francji! Chyba najlepszy wpis bloga! Kasiu to musiało być niesamowite przeżycie. Przepiękne miejsce, a także możliwość uczestniczenia w takim projekcie, doświadczenie tego wszystkiego i bycie obok tworzenia się najpiękniejszych zapachów Chanel – marzenie. Twój wpis nie tylko przyjemnie się czytało, ale jednocześnie można było przenieść się w czasie, poczuć jakby się było tuż za rogiem i obserwowało to wszystko z boku. Rozmarzyłam się i dziękuję Ci za to! Agnieszko! Ale ja wydałam już książkę! :)) Polecam Elementarz stylu ;). Kasiu mam ją i przeczytałam jednym tchem ;) Mam nadzieję na kolejną Twojego autorstwa. Super. Ale Kasiu na prawde No 5 sa w Twoim guscie, bo jakos mnie to nie przekonuje? Wachalam je wprawdzid dawno, ale raczej kopaly po nosie, a Ty do tej pory prezentowalas inne zapachy. Przepiękne zdjęcia i świetny wpis! Przez chwilę poczułam się jakbym sama tam była, to musiała byc fantastyczna przygoda! Ależ zazdroszczę Ci tego wyjazdu :) Przepiękne miejsce, a zapachy Chanel są najpiękniejsze na świecie! Piękne zdjęcia, ciekawy artykuł. Za oknem deszcz a ja przy porannej kawie przeniosłam się do słonecznego, pachnącego różami świata. Dziękuję. Masz świetne pióro, Kasiu. czytało mi się z przyjemnością. Do tego te zdjęcia. Make Life Easier jest dla mnie synonimem jakości i dobrego smaku. Studiowałyśmy na tej samej uczelni. Zosia jest z mojego rocznika studenckiego, no ale nie mieliśmy okazji poznać się bliżej. Kasia nigdy nie czytałam niczego co napisałaś. Oglądałam tylko zdjęcia. Dzisiaj w nocy karmiąc synka przeczytałam powyższy tekst i poczułam się tak, jakbym tam z Tobą była. Proszę napisz książkę w stylu jak powyżej, bo poczułam się super zrelaksowana. Albo poleć coś fajnego do przeczytania. Pozdrawiam serdecznie i trzymam za Ciebie kciuki. Jak dla mnie styl pisania Kaski jest średni. Szału nie ma. Nie wiem czym tu się zachwycać. Przeczytałam dziesiątki tysięcy książek w swoim życiu więc wiem co mówię. A i nie rozumiem zachwytu nad marką Chanel. Czy Wy nie rozumiecie dziewczyny, ze perfumy to zawsze tylko perfumy a kapelusz to tylko kapelusz. To marki Wam wmawiają, ze kupując x produkt jesteście eleganckimi kobietami itp. Jeśli zamiast nazwy perfum Chanel wstawicie w powyższy tekst nazwę jakiegoś produktu używanego na codzień np. mydła i przeczytacie powyższy tekst jeszcze raz to będzie on brzmiał groteskowo. Dziewczyny poczytajcie sobie artykuły sprzed 60lat dotyczące urody i zobaczycie, ze będzie się Wam wydawać śmieszne, ze ludzie pisali i przeżywali emocjonalnie takie głupoty. Tak samo za kilka lat ten artykuł będzie śmieszny, bo ukazuje: “grupkę kobiet starannie umalowanych i uczesanych, które pachnac jednymi zdroższych perfum świata w gumniakach udawają, ze ciężko pracują przy zbiorze płatków, między czasie robiąc zdjęcia ich wysiłku”. Styl pisania Katarzyny jest średni. Marka Chanel (jak wiele innych) szuka kolejnych klientów wśród grupy, której do tej pory nie było stać na ich produkty. Przez propagowanie takich właśnie akcji, jak opisana powyżej byle baba na zasadzie zastaw się a postaw się będzie kupować perfumy, szminki, torebki i inne badziewia marki Chanel (i innych) tylko po to aby…. no właśnie, tak właściwie to po co, zastanowiłyście się? Liczy się jedynie tzw. rentowność i zysk danej firmy, a Wy się dajecie na to nabrać. Macie racje dziewczyny. Cała ta kampania ma za zadanie głównie wkroczenie do młodszej grupy wiekowej, by im zaprezentować, że Chanel to nie tylko dla damy 35+ i więcej. Kaśka i perfumy Chanel n5 to nieporozumienie. Jak wiadomo autorka bloga używa przeważnie Flowerbomb itp. lżejszych pachnideł. Z jednej strony kreacja na dziewczynę z sąsiedztwa, a z drugiej dama wielkiej klasy rodem, jak z Dynastii tudzież styl na p. Grażynę Torbicką. Artykuł, jak to artykuł sponsorowany. Co miało być ujęte to zostało, by trafić w niszę. Ale błysnęłyście, drogie Panie. Nie trzeba być tytanem intelektu, żeby zorientować się, że wycieczka to część kampanii reklamowej Chanel. Tylko nie wiem za bardzo, co w tym takiego złego. PS Nawet jeśli część kobiet nabywa produkty Chanel ze względu na renomę/ status czy chwilowe poczucie luksusu… W sumie dlaczego by nie? Jeśli kobieta kupuje perfumy wyłącznie ze względu na markę, to chyba tylko można ją nazwać idiotką. Ale czy tak trudno jest uwierzyć, że komuś się jednak te zapachy podobają? Używam Chanel od lat, akurat nie omawiany tu No. 5, lecz inny, ale jeśli miałabym wydać niemałe jednak pieniądze na logo, to zastanowilabym się, czy ze mną wszystko ok. Ludzie są różni, gusta są różne, jeśli wolicie perfumy by Rihanna, to super. Ale pozwólcie lubić innym inne… Pozdrawiam ciepło. A czymże innym są te buty? Zrobione są z gumy, więc to gumiaki. Żadne logo tego nie zmieni. wchodzę i czuję się zrelaksowana:) Piękne zdjęcia i miło się czyta. Pozdrawiam. Kasiu, szukam jakiejś dobrej książki o Coco Chanel, czy mogłabyś coś polecić? :) Pozdrawiam! Jej! W koncu dluuugi i ciekawy wpis! Cudowne zdjecia!!!! Musisz zdecydowanie czesciej wyjezdzac do francji!!! Genialne! i takie małe ciekawskie pytanie hihi, dostaliście jeszcze jakieś gadżety od Chanel ? Wow!~Cudowna historia. Cudowne zdjęcia i cudowna przygoda. Nieprawdopodobne miejsce i ten zapach róż z pół musiał być obłędny! Aż zazdroszczę! Francja to wspaniały kraj, pełen urokliwych miejsc, a historia tego jest przepiękna. Chyba zdajesz sobie sprawę, jaką jesteś szczęściarą Kasiu? Ciepło pozdrawiam i życzę jeszcze więcej tak pięknych, inspirujących wyjazdów! Piękne zdjęcia, od razu się człowiekowi humor poprawia, gdy patrzy na takie piękne krajobrazy :) Aż zatęskniłam za podróżowaniem! Według mnie to najciekawszy wpis, jaki u Ciebie przeczytałam. Cudne zdjęcia, urokliwa francuska prowincja, udana forma reportażu, ciekawy temat. Gratulacje! Zazdorszcze wyparawy, uwielbiam Chanel ich perfumy, kosmetyki, torebki. Ty Kasiu jak zawsze pieknie wygladasz. Pozdrawiam!! Piękne zdjęcia! Cudowne! To mój pierwszy komentarz a śledzę blog już parę dobrych lat! Życzę dalszych wspaniałych przygód i tak trzymaj z angielskim – super tłumaczenie (nawet jeżeli ktoś pomagał warto było, czyta się lekko i przyjemnie, a nie zgrzyta) :) . Perfumy Chanel 5 to poezja, maja swoje miejsce w kinie, w literaturze, sa symbolem elegancji, luksusu, wyrafinowanej kobiecosci i zmyslowosci. Mozna pisac o nich romantyczne opowiadania i wspaniale miec je na toaletce, sa jak zapowiedz romantycznej i pelnej pasji przygody milosnej..
Ah, gdyby tylko tak potwornie nie smierdzialy! Chciałam się dowiedzieć, jaka jest historia tych perfum, ale poziom artystyczny tekstu skutecznie mnie powstrzymał. Uważam, że niesamowite jest to w jaki sposób prowadzisz współprace z markami. Pełen profesjonalizm i zaangażowanie. Sama prowadzę bloga i doskonale wiem, ile wysiłku wymaga przygotowanie materiału, napisanie tekstu, edycja zdjęć, filmów. Należą Ci się duże brawa :) Fantastycznie! Kasiu! Stworzyłam jeden z moich ulubionych wpisów w historii Twojej strony! Oglądam zdjęcia już z siódmy raz i ciągle rozczulam się nad różami. Wspaniały wpis pełen ciekawostek, czytało się go świetnie! Jak zwykle, przeczytałam dwie wersje językowe (okazja do poszerzenia angielskiego słownictwa!). Zdjęcia również bardzo ciekawe! Cały wpis umilił mi dziś śniadanie! :) Dziękuję i oby jak najwięcej tak dobrych jakościowo wpisów (a co za tym idzie, fajnych wyjazdów! ;)). Bardzo ciekawy wpis i jak zwykle przecudne zdjęcia! Taka podróż to z pewnością wspaniała przygoda. Szczerze zazdrościmy. Serdecznie pozdrawiamy i zapraszamy! Kazdy oczekuje czegos innego od blogow, dlatego nie bede nikogo oceniala, ale jest jedna rzecz, ktora bardzo mi sie u Was nie podoba. Chodzi o to, ze blog jest polski, wiec teksty powinny byc pisane najpierw po polsku, pozniej dopiero po angielsku. Moje kochane Grasse! Spedzam tam cale lato co roku. Juz sie nie moge doczekac. Piekne zdjecia! Zdjęcia super, ale najbardziej urzekło mnie to na fb- na tarasie w czarnej sukience. Mistrzostwo świata! Szkoda, że nie umieściłaś go tutaj. Kasiu cudowna relacja z pieknego miejsca. oby takich wiecej!! Po komentarzach mozna sie domyslic, ze wiekszosc twoich czytelniczek Kasiu jest z Polski, dlatego dziwi mnie, ze wpisy nadal zaczynaja sie po angielsku, a dopiero potem jest polska wersja. Z szacunku do wiekszosci czytelnikow zaczelabym wpis od wersji polskiej. To tylko sugestia, zrobisz, jak bedziesz uwazala. Bardzo ciekawy wpis, pięknie udokumentowany. Bardzo proszę o informację, czy Twoje kalosze Hunter są w wysokim połysku czy bardziej matowe. Ewentualnie proszę o wskazanie modelu (jeśli to nie problem). Katarzyna, co osobiście myślisz o zapachu Chanel 5? Czy to “Twój” zapach? Ciekawa relacja, najbardziej zazdroszczę możliwości przebywania w uroczych zakątkach Francji, krajobrazów i klimatu. U mnie sporo francuskiego stylu często na blogu się pojawia. Kasiu te zdjęcia mnie zachwycają, byłam we Francji raz, ale ten obraz krajobrazu Prowansji utkwił mi na zawsze, aż się chcę tam wrócić. Poza tym wspaniały artykuł, to musiało być niesamowite i bardzo oryginalne przeżycie, uwielbiam Coco Chanel, jej historie i historię jej produktów. Aż miło się czyta i chce się jeszcze więcej. Świetnie napisany post i cudne zdjęcia . Może lepiej byłoby ustawić stronę w jednym języku. Polski przeplatający się z angielskim jest dość irytujący dla czytelnika. Na przykład cały wpis po polsku, ale po wciśnięciu linka “English” cały wpis pojawiłby się po angielsku. Zapomniala tylko Pani dodac do tej bajecznie owianej tajemnica historii Chanel rownie subtelnej informacji o tym, Ile zwierzeta cierpia w laboratoriach, by prozne damy mogly rozpylac wokol siebie ten zjawiskowy zapach. Pozdrawiam i namawiam do autorefleksji. Szkoda, ze wszystko na sprzedaz. dawno mnie tu nie było… po kilku miesiącach wracam i jestem zachwycona. Piękny wpis, piękne zdjęcia, dziękuję. Na jakim stanowisku bedzie mozna spotkac jutro Kasie? Czy mój komentarz ma jeszcze rację bytu wobec tyłu wcześniejszych? Ale muszę napisać! Kasiu, przeżyłaś cudowną przygodę, marzę o takiej… Piękny post piękne zdjęcia. Chanel No 5 to nie mój zapach, ale ze wszech miar chylę czoła przed geniuszem jego twórców. To musi być cudowne uczucie, kiedy przykładasz rękę do tworzenia takiego dzieła sztuki, jakim jest ten zapach! Przepiękne miejsce i bardzo klimatyczne miejsca oraz fotografie! Uwielbiam ten wpis ! Cudownie przelałaś klimat tego miejsca na papier ( a raczej na klawiaturę i monitor ). Przepadam za Twoim blogiem ! Cudowne miejsce i piękne róże. Krajobraz niesamowity i nadzwyczajny. Płatki róż urzekają nie tylko zapachem ale także właściwościami. Relacja z pobytu bardzo ciekawa a zdjęcia lekkie, letnie. Perfumy Chanel nr 5 długo pozostają w pamięci i w zmysłach. Jedne z najlepszych na rynku międzynarodowym. Kasia czy będą jeszcze inne wpisy, jak produkowane są perfumy?